config_br0="192.168.0.11 netmask 255.255.255.0 brd 192.168.0.255"
I am able to access internet from my host. From guest I was earlier able to access the internet but recently I installed docker and that seems to have broken something on my machine. I tried uninstalling docker but problem persist. For some reason windows picks up the subnet mask 255.255.0.0 I am exactly not sure from where it picks it up from. first; please use code tags next time. second: do you have ip forwarding enabled on the host? It should show up "1" as result, otherwise its not enabled. You should have a look at the interfaces 10,11 and 32 on your list. Maybe these are interferring with the config for your guest. I tried deleting these interfaces, but no impact. in above tap0 is the interface autogenerated by qemu. But I still get same damm issue. I tried reinstalling windows multiple times on seperate images I keep getting exact same default ip assigned with 255.255.0.0. subnet mask and even if I change the subnet mask to my router, I can succesfully ping to host, google dns servers , google ip addresses but dns resolution fails for google.com. I get a feeling the issue is somewhere else in the os and not in the virtual machine network configuration. Everything[/url] was working fine initially but few days back I installed the docker that seems to have broken things, but now even I uninstalled docker things are not getting normal. The IP you see is an APIPA address which you get, if no dhcp server answers requests. Do you have a working dhcp server in your network? Do you have a working dhcp server in your network? 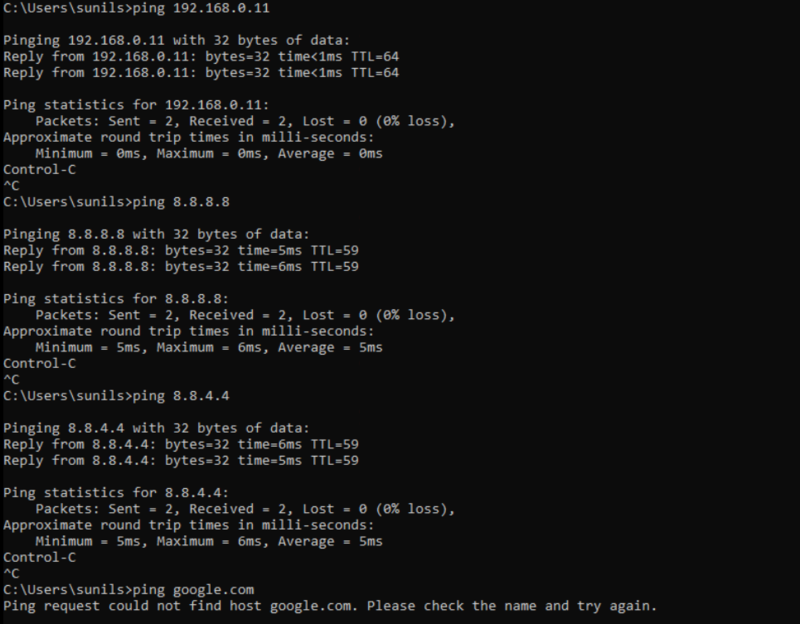 Currently there is no local dns server, but I can see the google dns servers can be pinged from Windows guest. Not DNS (Domain Name System), DHCP (Dynamic Host Configuration Protocol). These are two different systems. The only point in commen is, that the dhcp server can provide a dns server entry for your ip configuration. What does "nslookup www.google.com" gives you on your windows guest, when you setup a static ip address on the windows system? Regarding DHCP server I seem to have dnsmasq installed. But I never knew it was there. Are you talking about the same? Can someone please help me which rule I should be adding to allow the internet connection via bridge from guest. Actually, that is not a dump of all rules. That is only a dump of the filter table. There are other tables, notably nat and mangle. Generally, if you need help with a netfilter problem, you should post the output of iptables-save -c, not the output of iptables -L. The latter defaults to hiding information that may be useful to us. you should post the output of iptables-save -c, not the output of iptables -L. The latter defaults to hiding information that may be useful to us. it looks (according to the iptables output), there are still docker firewall rules left (like FWDO <- sound like FireWallDockerOut) installed. Maybe these are preventing your access to the internet from your qemu vm or did you set these rules manually? Maybe these are preventing your access to the internet from your qemu vm or did you set these rules manually? since you are running a bridged configuration, you wont even need those for access from your guest. the host and guest share the same subnet. the init script of iptables save the rules to /var/lib/iptables/rules-save. you could try moving the file to another location and restart the iptables service (if you dont need a firewall at all). That table is a mess. I think I see an explanation for your specific problem (assuming your kernel is also configured to apply netfilter to bridges - this is optional, so not everyone does). However, I think you need to review the whole setup. You have many rules that reference virbr0, but the VM is not joined to virbr0. It is joined to br0. Therefore, rules that specify virbr0 fail to match traffic involving this VM. You bridged your physical NIC, but your netfilter rules still try to refer to it by name. These rules will fail to match, since traffic on a bridge uses the bridge name (but if you need to match on a specific physical interface, --physdev can be used). You have a catch-all reject rule in the FORWARD chain above other rules. Fortunately, those rules can never match anything anyway, so failing to reach them has no adverse impact here.